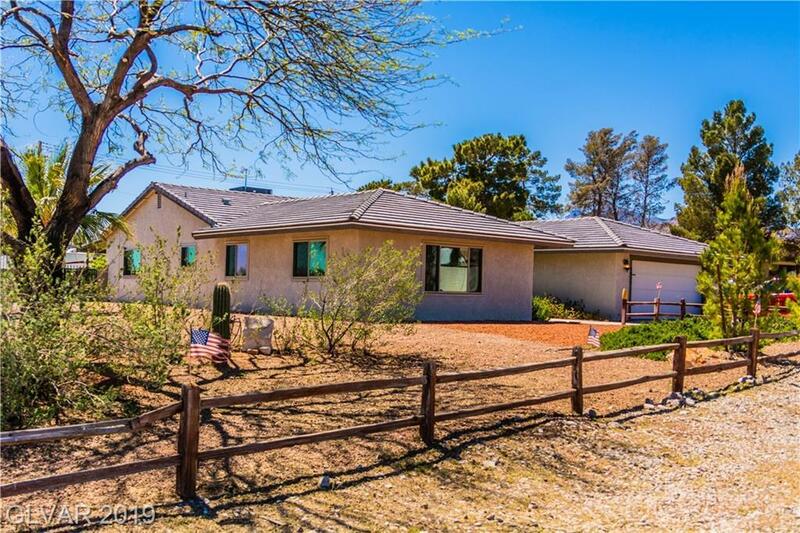 Wonderful 3 Bed 2 Bath home on half acre. Great location in the NW near shopping & freeways. Both newer A/C units with Nest thermostat, Granite Counter tops, Fridge & front loading whirlpool Duet washer & dryer stay, New 3 pane windows, In ceiling speakers, Custom pull-out drawers in pantry cabinets, New well installed in 2016 for the community, Added 7 pines, apple, pear, orange, lemon & tangerine trees, Pool, Spa and 2 ponds, Too much to list! Directions: From 215 And Ann Rd, West On Ann To Grand Canyon, North On Grand Canyon Past Tropical, First Cul De Sac On The Left.